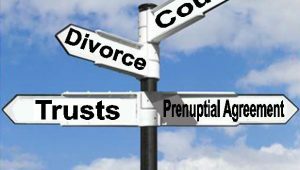 Many people are advised to set up a prenuptial agreement to secure possessions in the event of a marriage breaking down. Although a Court may take one into account, a prenuptial agreement is not legally binding. Prenuptial agreements still carry a stigma resulting in couples, and their families, feeling awkward discussing them. The same can’t be said of discretionary trusts which have been used as asset protection and tax planning tools for hundreds of years. Perhaps a discretionary trust created in your lifetime offers a better solution to protect your family’s assets. Discretionary trusts are also a very useful tool to protect family wealth against a potential divorce when children marry. Also, they don’t have the same stigma. A discretionary trust gives you, and your spouse, full control of all assets by appointing yourselves as the trustees. You decide who benefits from the trust. This could be your children or grandchildren. You could even appoint you spouse in the future if your family situation changes. Trusts allow you to get your assets out of your estate gradually to avoid inheritance tax. 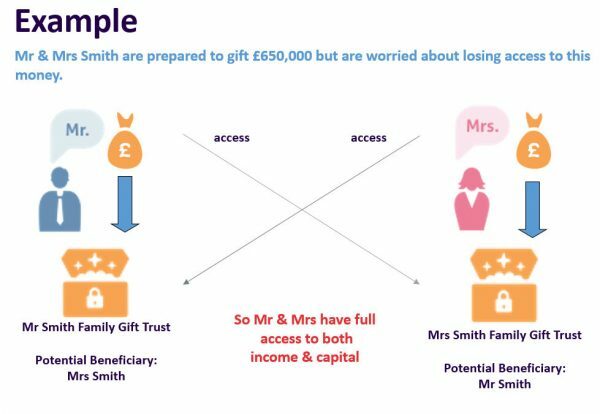 If you have not made any previous gifts you may each put up to £325,000 into a trust. After 7 years, this will be outside of your estate for inheritance tax purposes. If you put in additional amounts after this, there may be periodic charges during the life of the trust. Barnet Wills are more than just Will writers. We are committed to safeguarding your wealth, for your children, grandchildren, or chosen beneficiaries, after you are gone. With a few simple strategies in place your wealth can be protected!